With over a week left to go, the indiegogo project to create a low cost Stereolithographic 3d printer has already exceeded its funding goals. Much like Kickstarter, indiegogo gives inventors access to crowdsourced funding. 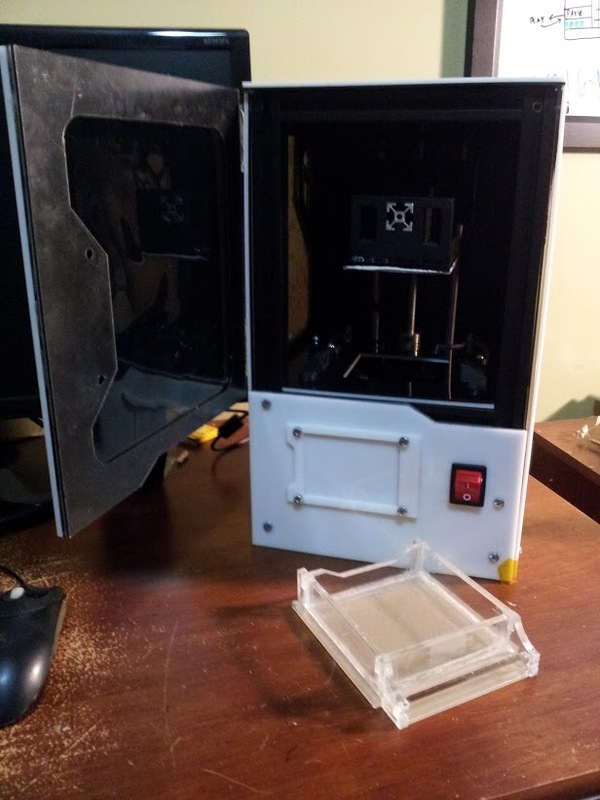 Justin Hawkins started the project to create an open design for a 3d stereolithographic resin printer. Sterolithographic printers shine a laser into a basin of resin to harden each layer before adding a tiny bit more resin. The accuracy of the laser makes SL printers allows extremely small detail. The Form 1 SL machine can print as thin as 25 microns, where current consumer 3d printers typically can only reach 100 microns detail. The four times as accurate machines also don’t have some of the issues FDM printers do with dropped loops, as the resin allows support structures with smaller attachments. Form 1’s machine that raised 3 million dollars on kickstarter earlier this year started at $2300. At $1600 fully assembled, the OpenSL project will hopefully deliver a tinkerer-friendly SL printer for the RepRap community. It might not be as polished, but with open source commands and an open design, sLAMPS could push sterolithography further into the consumer level machines.